LINKÖPING, SWEDEN – DECEMBER 8, 2017 – Grammy® Award-winning band Ghost today released a live double-album entitled Ceremony And Devotion.The album was recorded during the band’s critically exalted Popestar tour during the summer of 2017 and documents Ghost’s unforgettable live show in pursuit of becoming the world’s next great arena band. Ceremony And Devotion is available to stream and download now via iTunes, Spotify, Amazon, and Google Play. Watch a new music video for live album track “Absolution” HERE. Ceremony And Devotion was produced and mixed by Tom Dalgety and features fan favorites spanning the band’s entire catalogue from Opus Eponymous (2010) to Infestissumam (2013) to Meliora (2015) to the Popestar EP (2016). The album will be available physically on double CD and double LP on January 19, 2018. Exclusive, limited edition “translucent tigers eye” colored vinyl and bundles including a lenticular poster, limited edition 8-track, and t-Shirt, will be available exclusively in the Ghost ShopHERE. 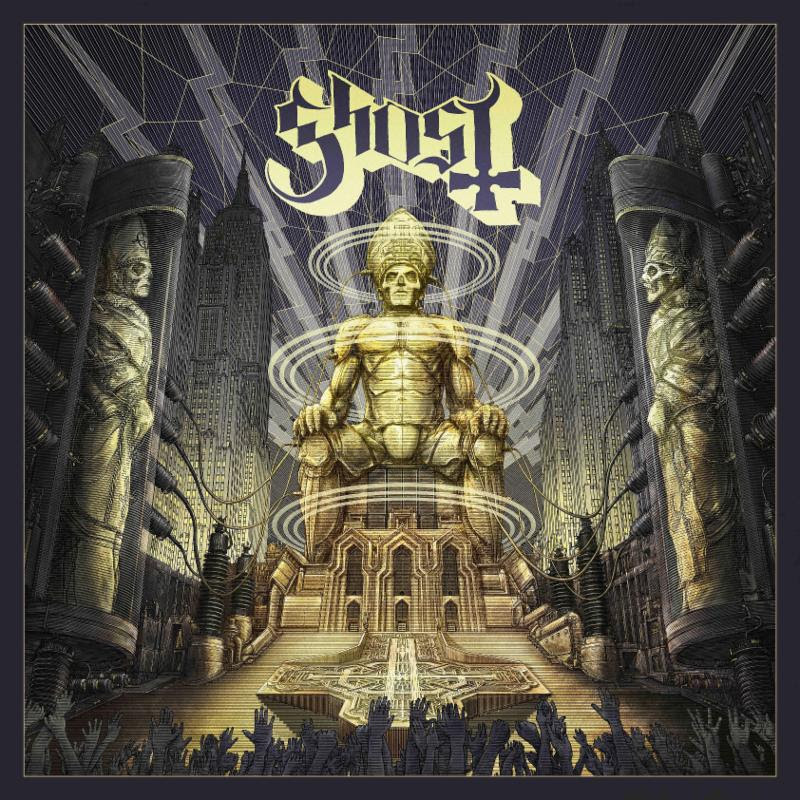 Along the way Ghost have racked up both widespread critical acclaim and adoration from a legion of fans across the globe in a genre stagnated by Nü metal for nearly two decades.